Hello everyone, Christine here today with a festive thank you card..I know it’s August but you can never start too early! 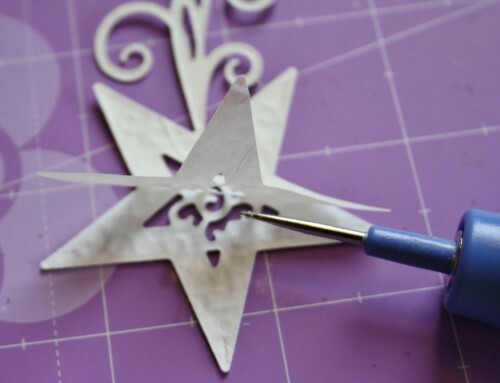 Die cutting and Adhesive Sheets are a match made in heaven! Really simple, just lift the yellow release liner and place your card/paper onto the sticky adhesive. Position your die and run through your die cutting machine. 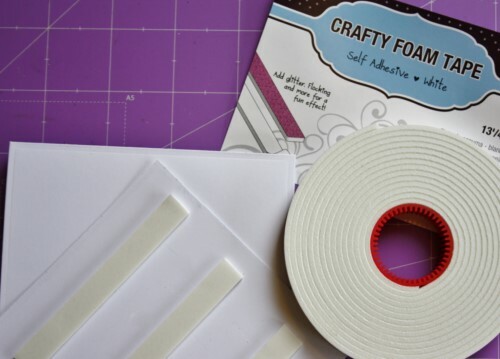 Your die cut then has the perfect amount of adhesive to affix to your project. 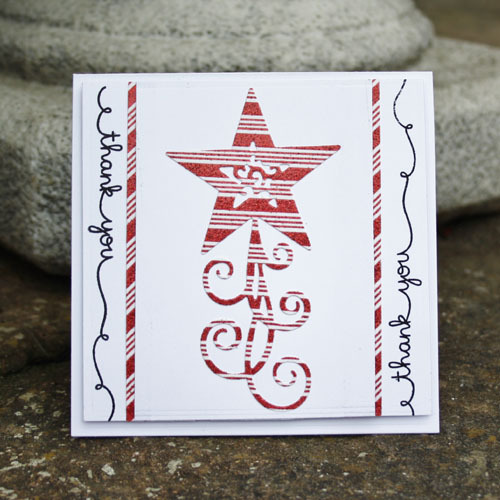 I created my card base with layers of white card and strips of the matching patterned paper affixed with E-Z Runner® Permanent Strips Refillable. I stamped the thank you sentiment twice vertically. 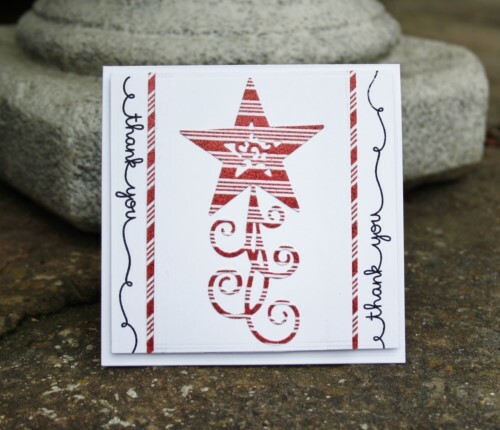 My final piece of white card with the festive die cut attached is affixed with Crafty Foam Tape – White. Thank you for joining me today, festive wishes to you all! 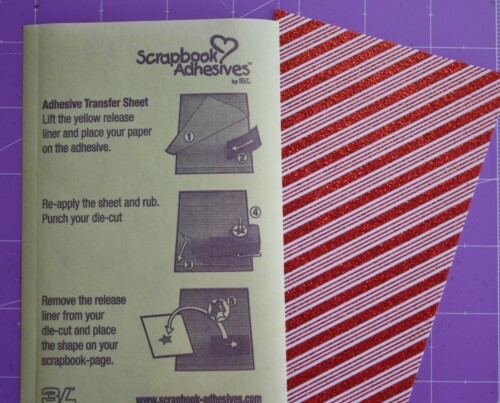 Spellbinders dies: 6 x 6 Matting Basics A, Shining Star. 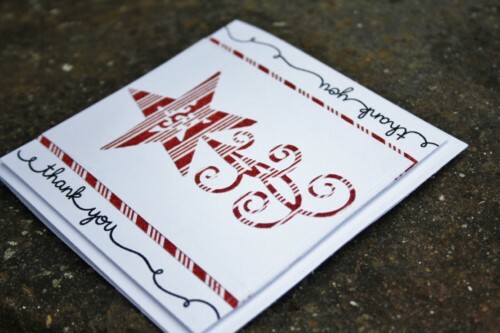 This entry was posted in Adhesive Sheets, Crafty Foam Tape, E-Z Runner® Dispensers and tagged Adhesive Sheets 4x6", Card, Christine Emberson, Christmas, Crafty Foam Tape White, E-Z Runner Permanent Strips Refillable, Lawn Fawn, Thank You. Bookmark the permalink. 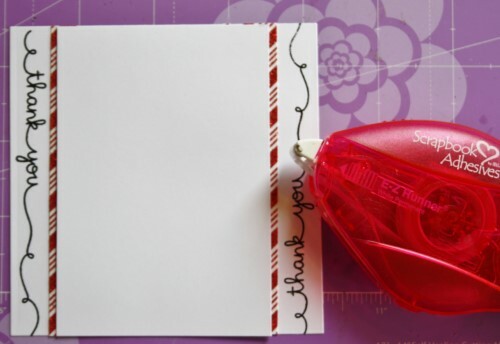 One Response to "A Festive Thank You with Adhesive Sheets"
This is such a pretty card. I love the composition.